This article is sponsored by Arca Automation, providing custom packaging and labeling solutions for the cannabis industry; LabelTec, an industry-leading label and converting company based in Northern Colorado with extensive expertise printing custom labels for the cannabis industry; and Xtreme Technologies Group, a leading provider of innovative mobile computing solutions and software designed for food processors and distributors. Many edible companies start small. And while “handmade” can still be a great selling point to customers, in practice it can be an impediment to the growth of your cannabis edibles business. As demand grows and your employees (and their workspace) max out in terms of production, how are you going to grow your business to capitalize on the opportunities in the edibles space? These four tips are designed to help you grow your cannabis edibles business in a manageable and scalable manner. Almost every cannabis consumer has a story where their edible experience went south—fast. They ate a cookie one week and felt almost nothing; the next week, they ate the same amount and were couch-locked within 45 minutes. The problem comes down to product consistency, specifically around the levels of THC within edibles. The best product testing will track the levels of THC and other ingredients from their raw state all the way through to the finished product. Scaling your business allows the opportunity to improve and perfect your product consistency. Xtreme Technologies, based in New Jersey, is one example of a software solution providing a product for cannabis edible companies to better control their operations. Their XRP suite of programs provides total accountability from purchasing, through production, to delivery. The issue becomes even more complicated when you take into account the differences in state laws. Without a change in federal laws, edible companies need to replicate their production process in multiple states while still maintaining the consistency and product quality that they’ve built their name on. That doesn’t just mean hitting the same THC levels; it means replicating the exact same product in a different location. Companies such as Xtreme Technologies can also help here. 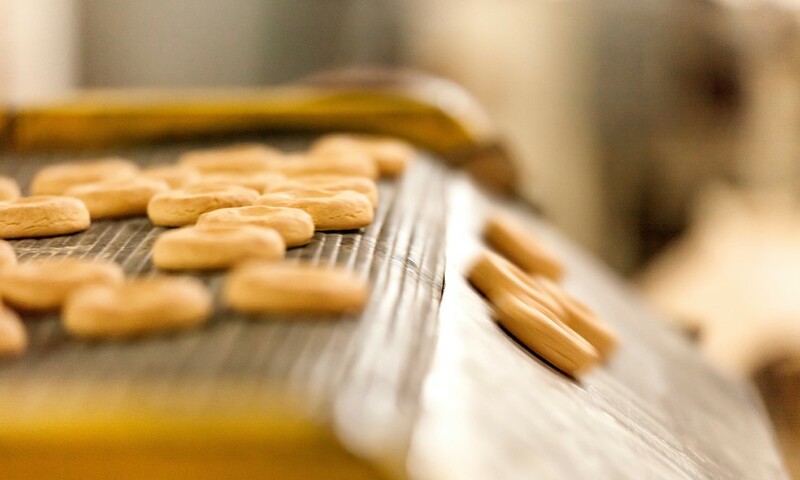 Their software solutions can help edible companies in qualifying the raw materials to validate finished product consistency. Any company encounters growing pains as it looks to scale its operations. Issues around human resources, price, management structure, and the product itself are just some of the problems all small companies face, let alone the specific challenges associated with the cannabis industry. And while growth can lead to increased revenue, it also leads to increased risk, especially when it comes to the overall look and feel of your brand. One way to ensure quality control of issues such as packaging is to enlist an automated solution. Companies like ARCA Automation provide industry-leading pressure sensitive labelers designed for the cannabis, pharmaceutical, nutraceutical, food and beverage, and consumer packaged goods industries. ARCA has been providing high-quality and cost-effective labeling solutions in the US for over 30 years, and supplies a great tool for edible companies looking to scale their business. Small edible companies often start out with a homegrown aesthetic, an aspect which can be in equal parts appealing and off-putting for a consumer. But as companies scale, it’s important that their packaging and marketing grows in line with the success of the product. Poor label design or low-quality labels have the potential to significantly impact sales performance: it could hurt the shelf life of a product by not grabbing the consumer’s attention with an aesthetically-pleasing brand or label. Bad branding jeopardizes the chances a customer will be drawn to the product on a shelf, and might even harm the chances of securing a wholesale order from a dispensary. LabelTec, a label and converting company based in Northern Colorado, has extensive expertise printing custom labels for the cannabis industry and dispensaries and providing specialty label constructions. A company like LabelTec goes beyond simply printing labels, partnering with its clients to create unique packaging and labeling solutions designed to help edible companies reach the next level. A more professional look and feel is just part of the story: a growing concern in the edible industry involves the possible counterfeiting of labels. Solutions like those provided by LabelTec remove the possibility of imitation by producing holograms which make it near impossible to counterfeit labels. Their labels also change color if a product reaches a temperature level which would have caused it to spoil, increasing the chances of ensuring product consistency. Even the smallest cannabis companies know that the maintenance and submission of data to the state, with their specific (and ever-changing) regulations, is an ongoing headache. Growing a company means even more data crunching, submitted in multiple locations with different reporting requirements. Software like the products supplied by Xtreme Technologies allows managers to track all of their regulatory data as well as the data needed to demonstrate production quality. In the unwanted event of a food recall, their technology allows the edibles company to identify which batch was tainted, what trucks shipped the products, and which stores they need to recall products from. This kind of technology allows manufacturers to avoid an all-encompassing nationwide recall. If you’re in need of scaling your cannabis edibles manufacturing business, the first step is easy: just reach out to one of the sponsors below. Every business has unique and individual needs. At ARCA Automation, our labeling solutions are flexible, custom, and unique to each customer we serve. Whatever stage of development your business is in and whatever level of automation you require, ARCA Automation has the solution for you. Xtreme Technologies offers a suite of software solutions to help cannabis edible companies get better control of their operations. The XRP suite of programs provides total accountability from purchasing, through production to delivery. LabelTec is a label and converting company with extensive expertise in the printing of custom labels for the cannabis industry. LabelTec goes beyond simply printing labels, partnering with its clients to create unique packaging and label solutions designed help edible companies and dispensaries to reach the next level. Arca Automation: providing custom packaging and labeling solutions for the cannabis industry. LabelTec is an industry-leading label and converting company based in Northern Colorado with extensive expertise printing custom labels for the cannabis industry. Xtreme Technologies Group is a leading provider of innovative mobile computing solutions and software designed for food processors and distributors.